Libby is an innovative mobile app from OverDrive designed to make borrowing and enjoying e-books and audiobooks from the library easier than ever. Find and borrow a title with just a few taps. 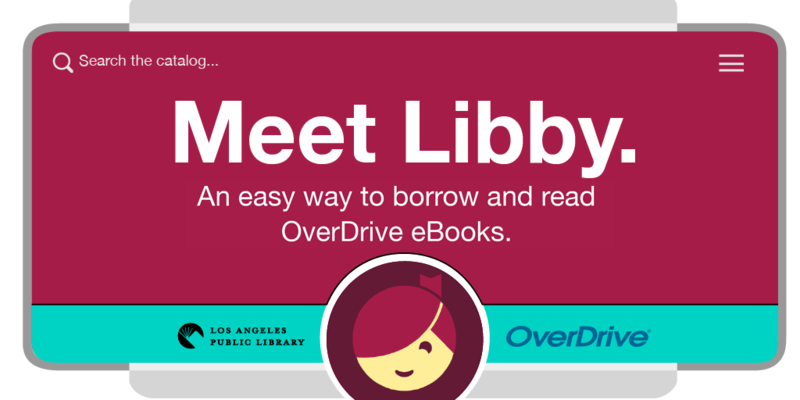 You can use Libby in place of, or in addition to, the traditional OverDrive app. Libby is available for Android, iOS and Windows devices. Step 1 - Download the Libby app from your device's app store. Step 2 - Open Libby and find the Los Angeles Public Library. Step 3 - Browse the library's collection and borrow a title. When prompted, sign in with a valid library card and PIN (last 4 digits of your phone number). Step 4 – Enjoy! Borrowed titles appear on your Shelf. Simply say Hey Google, talk to Libby to get started! The Libby Action helps you discover and borrow books from your library’s digital collection with speech. You can ask the Libby Action to help search for a book, read a description, get a recommendation for the next read, borrow a title, and more. For additional help and to learn more about Libby and how it works, go to help.libbyapp.com.